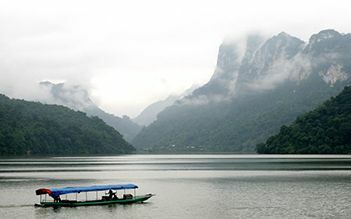 Ban Gioc Waterfalls and Ba Be Lake are two stunning natural attractions in the mountainous northeast of Vietnam. 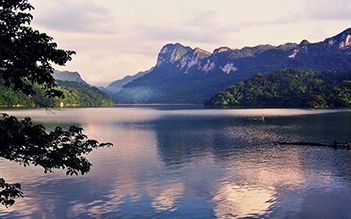 Connecting two attractions in an itinerary of Ba Be-Ban Gioc, tourists will have a chance to witness the harmonious beauty of mountains, rivers, forests, and waterfalls which are romantic, poetic but majestic. 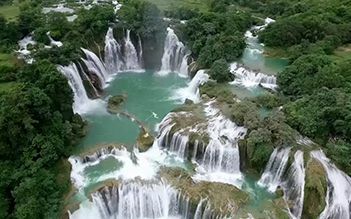 This exclusive tour takes you from the center of Hanoi to the natural wonderland of Ba Be, then the excursion continuously brings you to Ban Gioc waterfalls. This is home to Tay ethnic group, you will have chances to get up close to Tay people and explore their culture at the small villages.